Have you ever been to a breakfast meeting? If you haven't tried it, join us. In April of this year, Forbes magazine recognised Angel Chen and Jeffrey Effendi of DrawHistory in their 30-under-30 list. 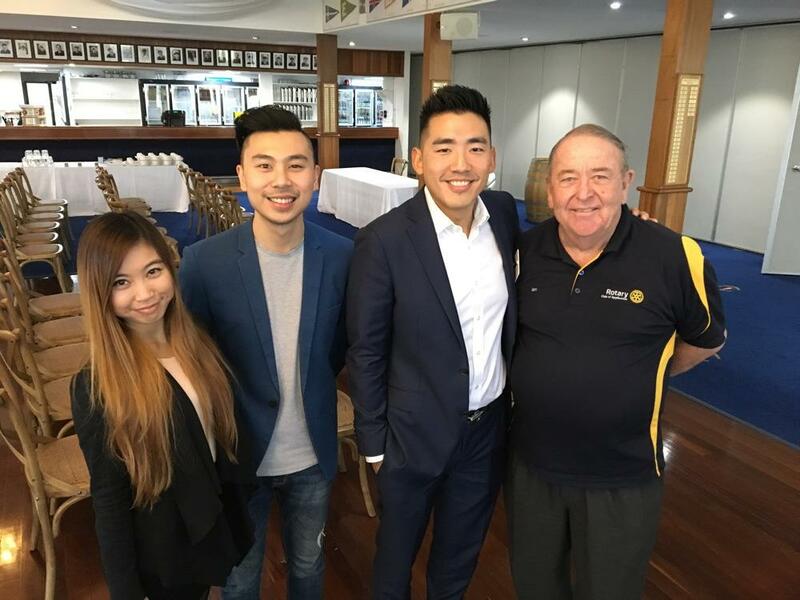 Jeff and Angel are social entrepreneurs with a special kind of media business based in Subiaco. DrawHistory helps non-profit organisations create their web, print, graphics, and brand. Jeffrey and Angel work on images and messages that help the public shape a memory and feeling of what an organisation does. 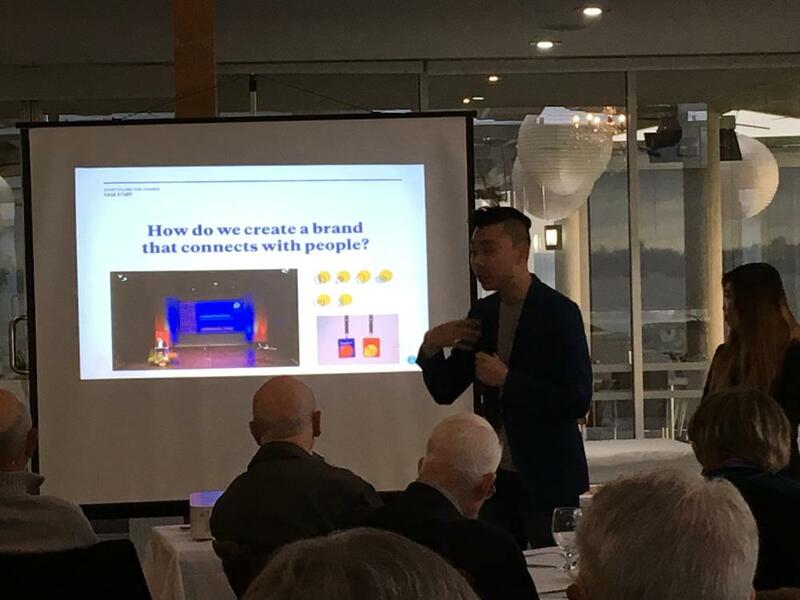 Their presentation highlighted a case study for the recent Social Impact Festival at UWA hosted by the Centre for Social Impact. 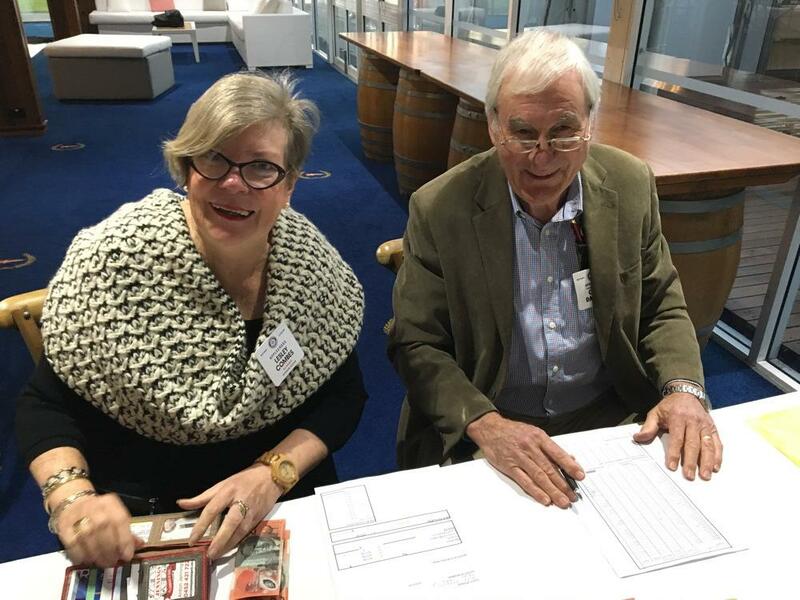 They told a story of how a dry academic program was able to attract enthusiastic and interactive participation from corporate, government, and not-profit organisations. Prior to the changes in the brand, the event had low attendance. Often only academics, but not students were involved. DrawHistory helped the Social Impact Festival unify these important communities. Jeffrey suggested a brand seeps into culture. The brand for an event like this should entice people to have fun and set the expectation that the event is bringing people together. Angel and Jeffrey described how DrawHistory helps organisations tell stories to connect people. Jeffrey told his story. He was 6 years old and living in Indonesia. His family was trapped by the race riots in Jakarta, where there were violent protests against Chinese and Christians. He remembers hiding in the air conditioning ducts in the ceiling with his younger brother during the riots. At 4 am, his whole family got into a van and made their way to a boat. He remembers burning buildings and looting during the drive. His family stayed on different islands before they finally fled to Australia. He had to learn to readjust, to speak English, to make new friends, and to keep up with school assignments. He experienced how stereotypes change the way you live your life. His childhood motivated him to highlight positive narratives for others whilst he works at DrawHistory. Angel highlighted the good fortune she had migrating from a small, poor community in China to Australia. 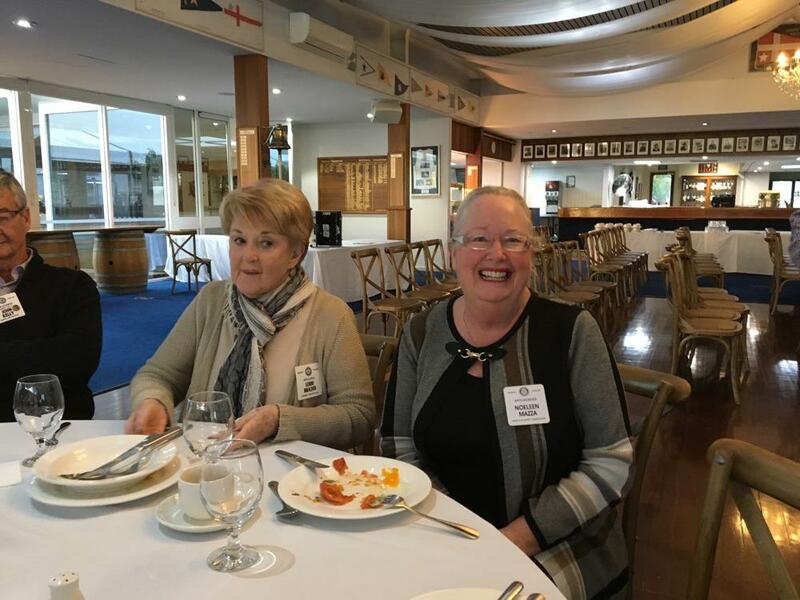 She described how much it meant to her to have community organisations get her involved with Australian culture - from playing cricket and swimming to organising sleep overs and social activities. Both Jeff and Angel pursued studies in law in the US an finished their law degrees at UWA. Their childhood experiences motivated them to take action and help organisations do a better job of connecting with their community, their donors, and media. Jeffrey and Angel believe we can all be global citizens working together. 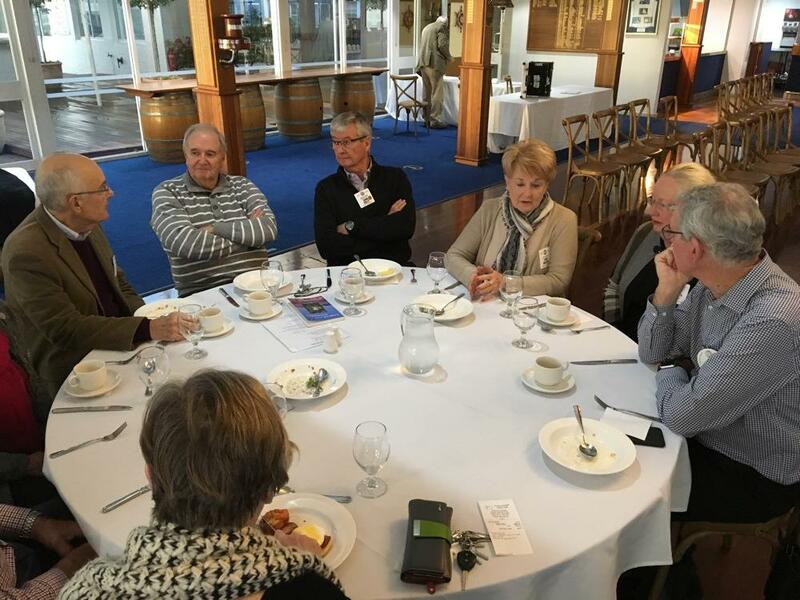 There was a thoughtful question and answer session after where we discussed local needs in the Perth region. Our check in desk was well staffed and busy. 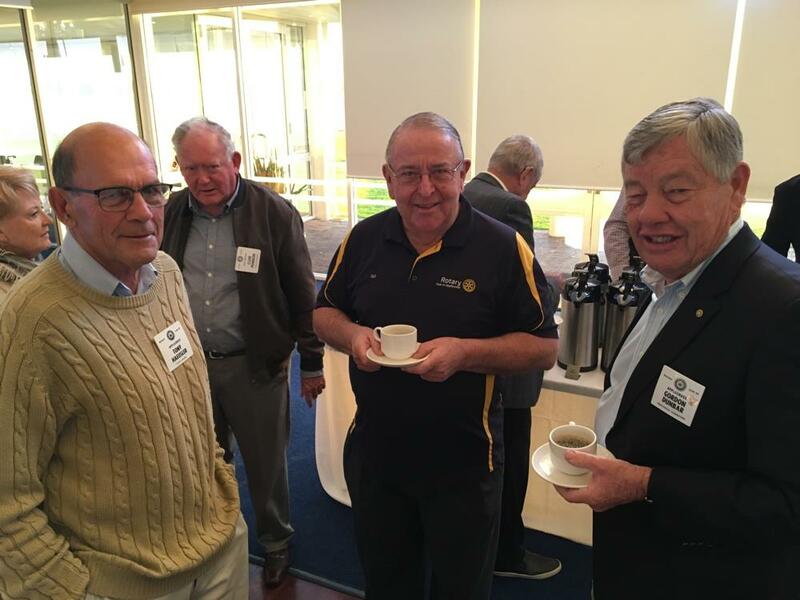 Rotarians caught up on coffee and club business before the meeting. There was thoughtful conversation about the presentation and branding our many social outreach programs. Collecting fines and happy dollars. The breakfast left members smiling. 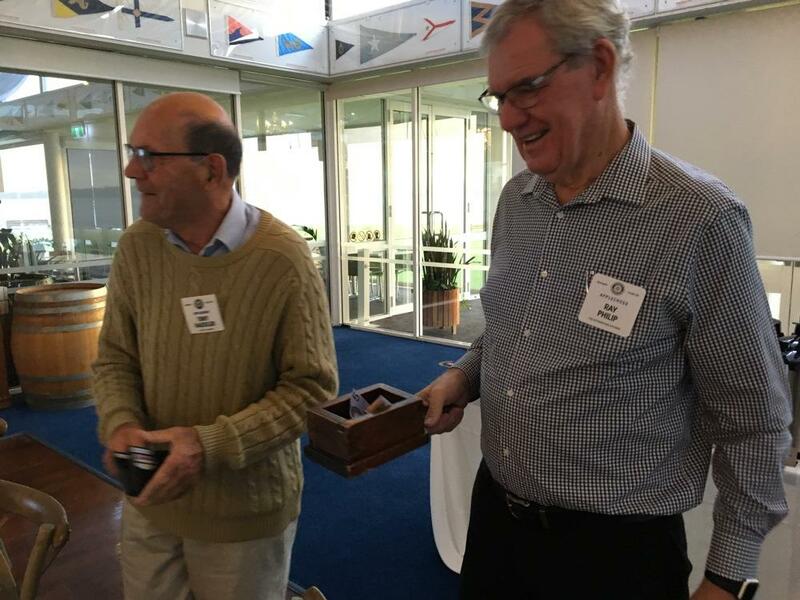 Were our Rotarians discussing the parking at the Perth Maker's Market?